Community members marched to honor the legacy of Cesar Chavez. Photo slideshow displaying community members taking part in the march. The legacy of César Chávez was honored Thursday, March 15, 2018 as residents and community leaders gathered at the Cook Library Center, 1100 Grandville Ave SW and marched to Potter House Chapel for a community gathering for the18th annual César E. Chávez Social Justice March & Community Gathering. 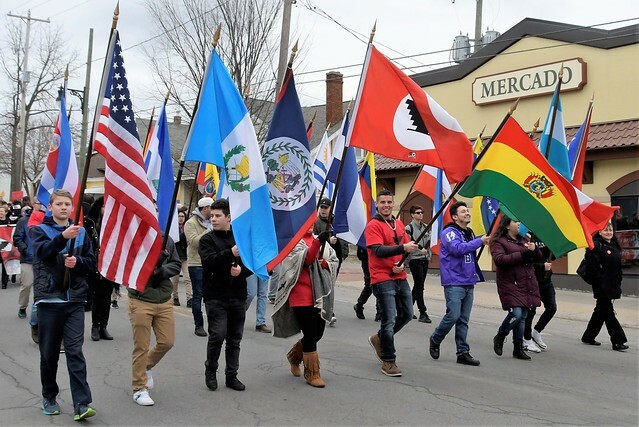 Calling for a time for unity in the community, organizers walked arm in arm commemorating Chávez’s vision to engage all, particularly the youth, to carry on his values and timeless vision for a better world. 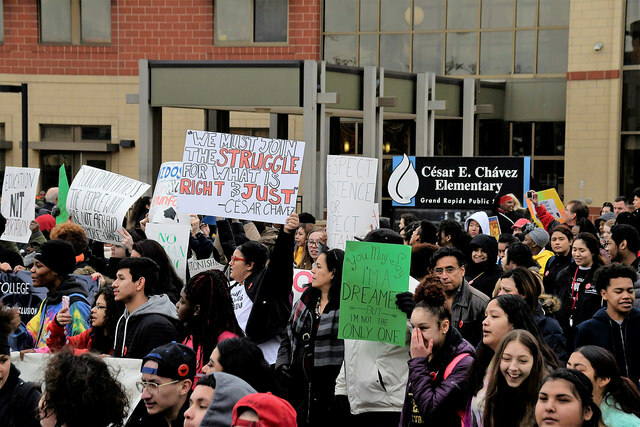 Uniting the community with the theme of respect, dignity, and protection for all, this year's march was dedicating social justice activities to the dreamers. 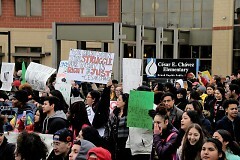 Three local college dreamers were honored at this year,s march. 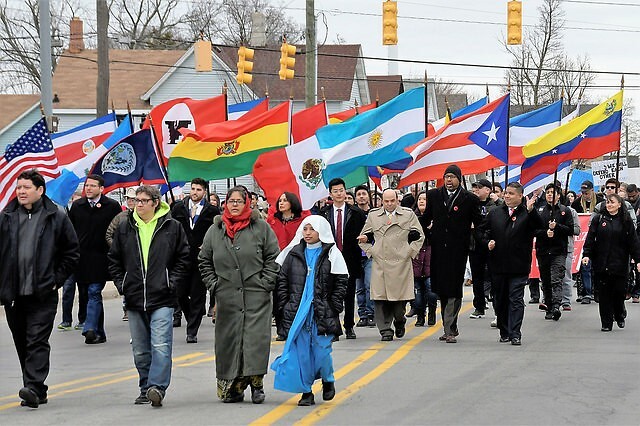 Daniel Carachero, a freshman at Davenport University; Kevin Curiel-Vazquez, a junior at Western Michigan University, and Grand Valley State University senior Juan Mascorro-Guerrero walked in unity with community leaders. “This event is very important to the community and we are part of the community,” said Grand Rapids Deputy Police Chief Eric Payne when asked what brought him to the event.